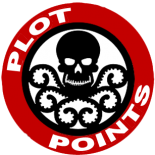 This week’s Monday Milestones are for a relatively new team: The Secret Avengers! Created by Steve Rogers shortly after he is made director of SHIELD, the Secret Avengers are the team that gets called in when something needs to be taken care of without any official connections to SHIELD or the main Avengers team. Come back tomorrow to get a look at the tie-in datafile created by Felipe. The crazy mercenary: Moon Knight! Excellent! In your spare time (hah! 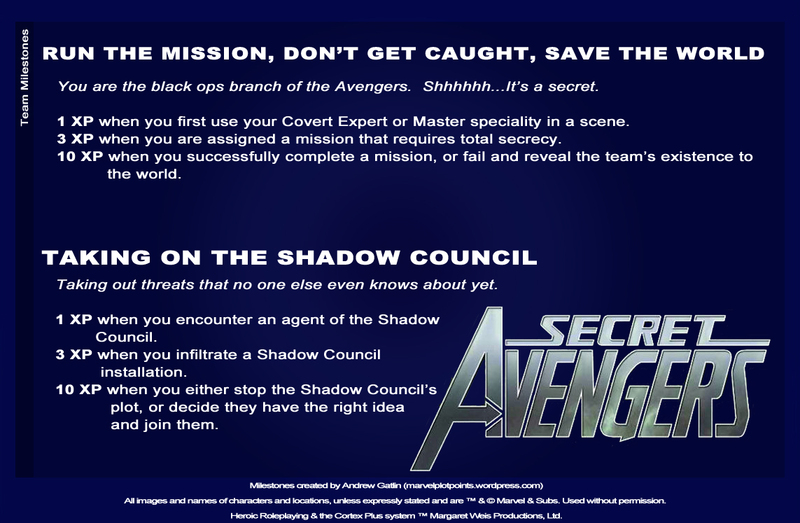 ), a Secret Avengers “event” would be awesome! I look forward to your take on Moon Knight. Between his appearences in Secret Avengers and the 12 issues of his latest self-titled issue that just concluded, he has been a most intriguing character. Would love to see your write-up of Shang-Chi someday too, while I am making unreasonable demands. A secret avengers event would be nice, i love that selection of characters! I only know Shang-Chi from Secret Avengers, but he did appear somewhat to be the “Bruce Lee” of the Marvel Universe still; so, no “powers” per se. I guess the question then becomes how do you define his power set(s) and how do you make him meaningfully different from a Kung Fu + powers hero like Iron Fist? I think you could still come up with a “Master of Kung Fu” power set, perhaps, that represents the extreme focus, training and experience of the character. In the several issues he appears in written by Brubaker and later by Ellis, he is both very cool and very dangerous and thus fun. If it is a “Master of Kung Fu Trainning” i would give him: Reflexes D8, Senses D6, Durability, D6, Strength D6. Anything beyond that would be too much. This entry was posted on May 7, 2012 by Andrew Gatlin in Milestones, TEAM MILESTONES.